I have been making some jewelry and taking some photos, now I just have to edit photos over the next few days so I can get some new posts up on the blog! In the meantime, I just wanted to point out to those of you who frequent Pinterest (if you don’t, you need to get on board!) 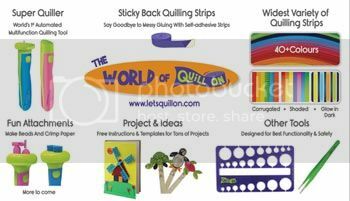 that I have some great quilling boards that you should be following! First of all, I have a few community boards that I started. This means that anyone who has been invited can also post to the board. This creates a great collection of pins! 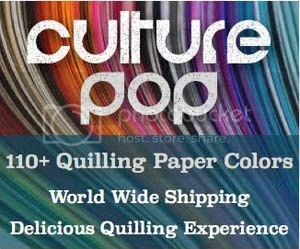 I have community boards for Paper Quilled Jewelry, Paper Quilling Tutorials, and Paper Quilling Storage. Anyone can follow these boards, and anyone who I invite can also pin to these boards. If you want to be invited to be a contributor to any of these boards, just let me know! They are a great place to find inspiration. There is another community board which I am part of, but I didn’t start. It is called Quilling Ideas. There is another board that I created, but it is not my stuff – it is other quilling things that I find beautiful and inspiration. It is just called Quilling. I didn’t make this a community board since it is really things that I particularly like. The other boards that I made into community boards are more of a service, where anyone can find inspiration. I also started a new board called Paper Quilling for Kids. There is not much on it yet, but I hope to make that a nice collection as well! Sorry for the lack of a fun photo today – I am not using my own computer at the moment. I’ll be back with awesome photos, new designs, reviews, tutorials, and more starting in a few days! Don’t leave yet – stick around to view some more great pages here! Congrats Honey for creating board in Pinterest.Iam a great follower of Pinterest and will surely browse your board.